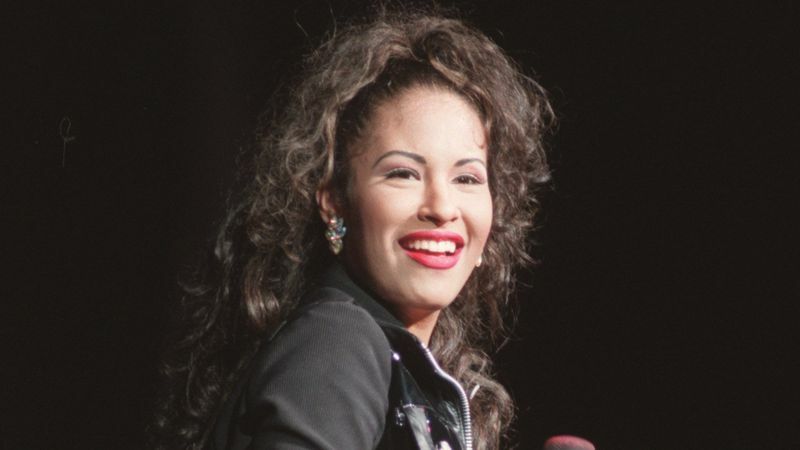 Last month, Netflix dropped a short and simple teaser trailer for an upcoming series with the famous lyrics “Bidi Bidi Bom Bom.” The trailer set the internet into a frenzy as it was revealed to be an announcement for a series dedicated and based off of the famous Tejano singer Selena Quintanilla. Naturally, this sparked a mass discussion among the late artist’s fans, each of them having a different reaction to the exciting news. “I’m mainly anxious about the show. I’m hoping they don’t try to gentrify it or anything along those lines. It’d be nice if they casted Latino actors as well and just kept it as authentic as possible,” Carson High School junior Karla Jara said. Many Selena fans share this same worry, as she is a very important individual in the Latino community. She’s even seen as a part of the culture itself. But not to worry, as Netflix also announced that the series will be executively produced and developed by the Quintanilla family so that her memory is kept alive and true. “Growing up as a Latina, Selena was a person I really looked up to. I’m looking forward to the show and I think it’s amazing how we’re getting more representation,” said CHS junior Isabelle Felix. Overall this series seems to have been welcomed with open arms; and although there is some hesitancy, it is understandable. Selena is someone who is held very closely to people’s hearts. Generations after generations are being raised on her music and being told her story. Like an amor prohibido, the love and support for Selena is unstoppable. She will continue to live on as our Tejana queen for all eternity.